KOKILA (pronounced KO-ki-la), the new Penguin Young Readers imprint, will bring together an inclusive community of authors and illustrators, publishing professionals, and readers to examine and celebrate stories that reflect the richness of our world. Kokila will be helmed by VP and Publisher Namrata Tripathi, former Associate Publisher and Editorial Director of Dial Books for Young Readers. The name Kokila comes from the Sanskrit name for the koel bird. The kokila has great significance in Indian poetry and myth, and is celebrated as a harbinger of new beginnings. In the spirit of its name, Kokila aims to center stories from the margins and to make space for storytellers to explore the full range of their experiences adding nuance and depth to the way children and young adults see the world and their place in it. 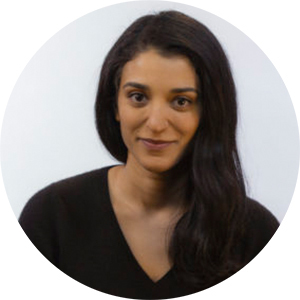 Kokila will publish works by Pablo Cartaya, Sherine Hamdy and Myra El-Mir, Isabel Quintero and Zeke Peña, and Nilah Magruder. The imprint’s first list of books will be released in the Summer of 2019. 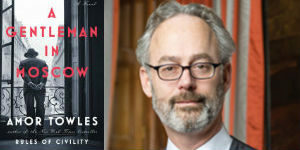 Last year, Random House relaunched ONE WORLD under Chris Jackson as Publisher and Editor-in-Chief. His mandate is to revitalize and expand the historic publishing program—originally established in 1991 as the first multicultural imprint at a major publishing house. The imprint’s first two titles, BONES by Joe Tone and WE WERE EIGHT YEARS IN POWER by Ta-Nehisi Coates, were published to much critical acclaim. Ebury, one of the UK’s leading non-fiction publishers, launched a new imprint – Pop Press – dedicated to creative gift publishing last fall. Headed up by Laura Higginson, Editorial Director, and Elen Jones, Senior Commissioning Editor, Pop Press will publish 18 titles a year focused on trend-led, beautifully designed, impulse-price-point gift books. Recent and upcoming publications include: THE PERIODIC TABLE OF FEMINISM, which navigates the history of feminism through some of its most prominent advocates; HOW TO BE A PRINCESS, a collection of inspirational fairy tales for modern heroines to mark the upcoming Royal Wedding in May; STOP LOOKING AT YOUR PHONE, an illustrated manual that reminds us we can survive without our smartphones; and for some Christmas entertainment there’s WHERE’S THE MERMAID?, a fun WHERE’S WALLY-style book for mermaid fans of all ages! With books increasingly sharing the same space in retailers as luxury greetings cards, mugs, t-shirts and stationery, Pop is Ebury’s way to focus its collective, creative energy to ensure its books are the gifts that shoppers choose. 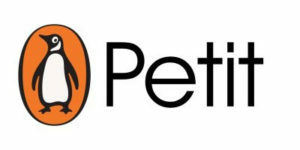 In January of this year, Penguin Random House Australia launched Penguin Life, an imprint focused on personal development and healthy living. Penguin Life will publish six books this year, debuting with THE LONGEVITY DIET by Valter Longo, director of the University of Southern California’s Longevity Institute. Longo’s book has sold more than 300,000 copies to date in Italy. 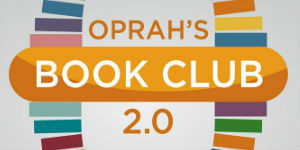 Other authors on the list are The Body Image Movement founder Taryn Brumfitt, the University of Pennsylvania’s Positive Psychology Center director Martin Seligman, and founder of the SugarByHalf campaign and former team doctor for the Australian cricket team, Dr Peter Brukner. “Penguin Life enables us, as a business, to better connect with communities and social issues, and take more responsibility for how we influence and contribute to readers’ lives,” says Nikki Christer, PRH Australia’s group publishing director. 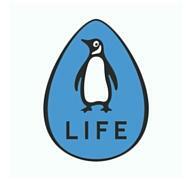 Penguin Random House India will launch a digital imprint Penguin Petit. Featuring a carefully curated selection from Penguin Random House India’s extensive list of titles, Penguin Petits are short reads, approximately 50 pages each, designed for ease of reading across digital devices. Readers will now be able to enjoy the writings by some of their favourite authors in short, low priced and highly accessible digital formats, including works by Premchand, Gulzar, Devdutt Pattanaik, Ramachandra Guha, Sudha Murty and Anita Nair. Penguin Petits will provide great, quality content to suit a broad range of interests, from fiction, nonfiction, children’s literature, mythology to self-help, history and current affairs, and will be available in an e-book format. 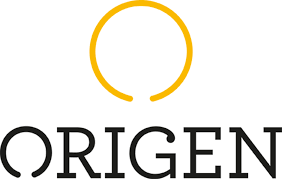 Penguin Random House Grupo Editorial USA launched Origen (Origin), a new religious imprint for Spanish-language books, which will feature titles on self-help, relationships, and a Christian-based lifestyle. The imprint will also publish titles for children and young adults under the Origen Kids label. The new imprint will publish approximately 20 titles per year, among them works by prominent Hispanics, such as Pope Francis and evangelical pastor Samuel Rodriguez. The first four titles were released in October, including Pope Francis’s QUIÉN SOY YO PARA JUZGAR? Sister companies in Mexico, Colombia, and the rest of Latin America will publish additional titles that will be distributed as part of the Origen list.